Hope you all know about WordPress. WordPress is one of the most beautiful Content Management Systems. It is also known as the most powerful blogging platform. The simplicity and easy to use features made this platform the most popular one. As you all know, security is an important factor for all online activities. Visitors will leave your site if they found you are not trustworthy. One of the important security features of WordPress is always keeping it up to date. 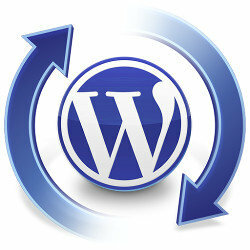 Both automatic WordPress updates and manual updates are available. But it’s your choice. Let’s see what are the pros and cons of automatic updates. Security vulnerabilities can be overcome with core updates, hence you can enable automatic updates to avoid the issues. Plugin vulnerabilities also result in attacks, so with automatic updates, we can reduce the risk. It also helps to save the time you spent managing your site and doing updates manually. If you have enabled automatic updates, you won’t get the complete site backup immediately before updates. This is very risky because there are chances for site-breaking issues during some major updates. Automatic updates to core files may rewrite some manual customization results in disabling the theme and plugin editors. You can easily enable automatic updates from your cPanel account and also using a Plugin called “Easy Updates Manager”. Hopefully this article helps you to educate yourself about automatic updates. Of course, automatic updates are useful and easy to handle, but on the other side, it has its own risk. It is your choice to decide whether to take risk or not. We at Aspiration Hosting are one of the top web hosting companies. We provide you with free web development support along with our both Cloud server and hosting plans. You can reach us at any time. We are always happy to help you. Contact us! You just sit and relax. We will do everything for you. Your website will be always safe in our hands. We have a dedicated team who works for 365 days to make sure that your website is always live.